3 MCLE Credits (Professional Practice): This course is appropriate for both newly admitted and experienced attorneys. 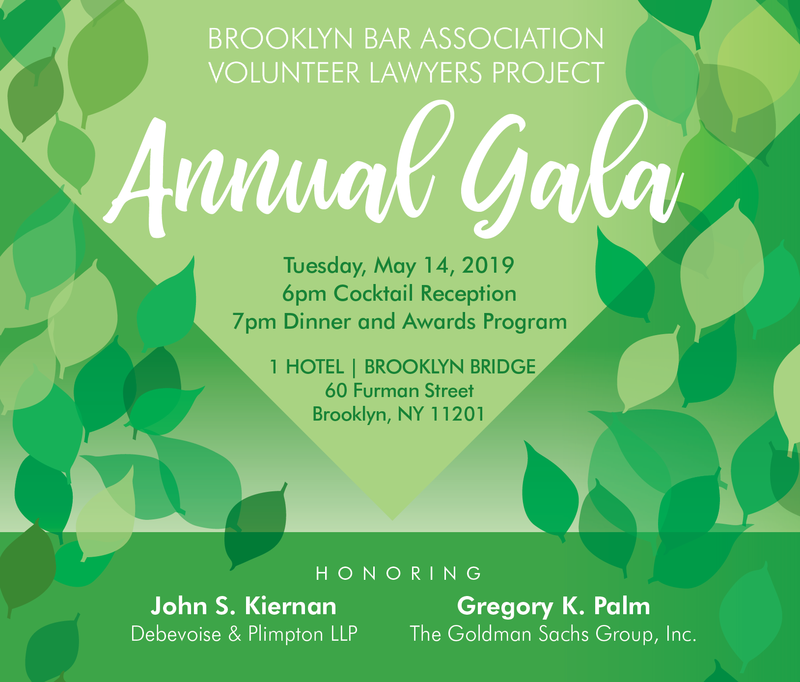 Speakers: John McManus, Esq., Director, Consumer Bankruptcy Project, City Bar Justice Center; Bruce Weiner, Esq., Partner, Rosenberg, Musso & Weiner, LLP. This program is designed fro attorneys who are new to low-asset, low-income Chapter 7 bankruptcies. Topics will include: Overview of steps in a consumer bankruptcy; general principles of consumer bankruptcy; changes under BAPCPA 2005 and petition and form preparation. 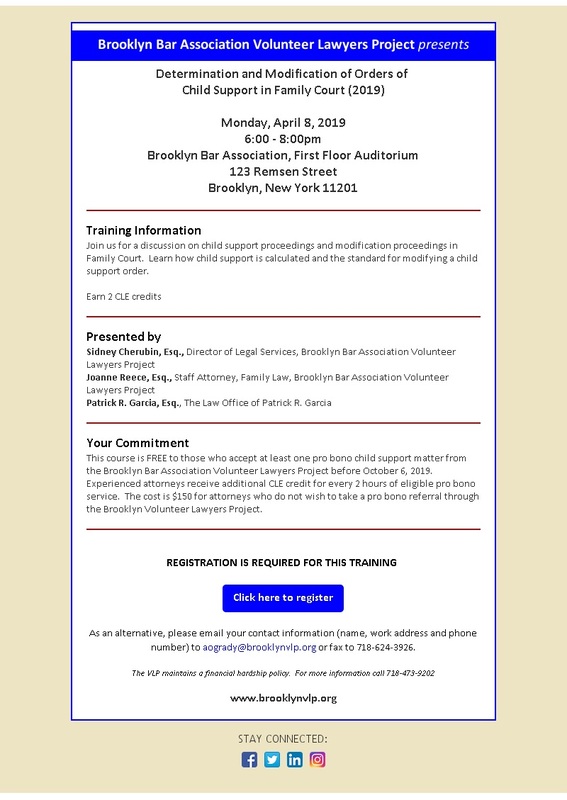 The cost of this course is $150 or is FREE to to those who accept at least one pro bono referral for a bankruptcy or other matter from the VLP before December 22, 2009. Experienced attorneys receive additional MCLE credit for every 6 hours of eligible pro bono service. The VLP maintains a financial hardship policy. 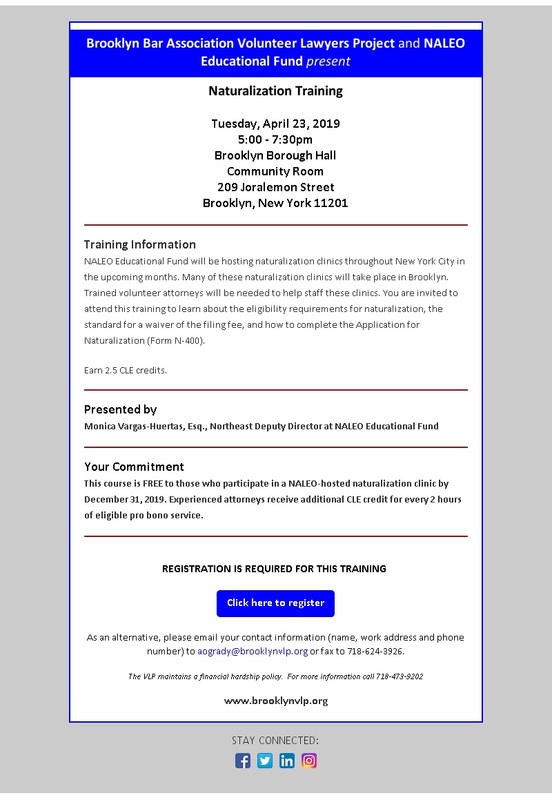 For more information, please call 718-624-3894, ext. 4.